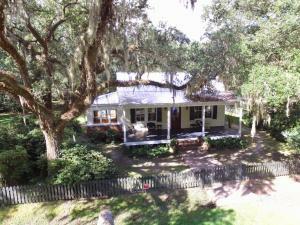 Homes for sale on the golf course and beachfront on Seabrook Island. Brick - Solid Wood Siding home for sale in Ehrhardt SC, Zip 29081. 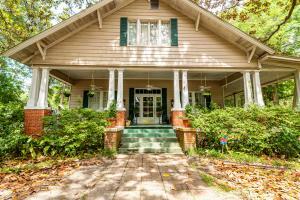 Porch - Front Porch, Storage/Outbuilding, Workshop, fireplace: Three + ... 1 Car Carport Off-Street Parking... and more. -- been freshly painted; 2 separate HVAC units, one new in 2018 that is gas and electric, the other electric. Insulation in all ceilings and under floors, new fuse box and plumbing, 21 original 6 panel windows, new roof 5 years ago. The driveway has room for many cars for entertaining along with an attached carport and the yard and lawn have been meticulously taken care of. There is a 16x20 utility shed with electric and water. This home is just a beauty! It should not be overlooked. Wood Siding home for sale in Walterboro SC, Zip 29488. Amenities include Trash Pickup Deck, Fence - Private, Porch - Full Front, Storage/Outbuilding, fireplace: One ... 1 Car Carport 2 Car Carport Attached... and more. -- The master bedroom has a fireplace with gas logs and a private porch that leads to the private garden. 11 foot ceilings throughout most of the home. Plus a winner of the Simon Verdier Award. The Simon Verdier award was named to honor a French Huguenot who settled in Colleton County in the early 1800's. One of his lasting contributions to the area was the beautiful japonica which be brought to the Lowcountry from his native France. So it is with the restorations of an historic property, a beautiful and lasting gift that each generation will certainly treasure. 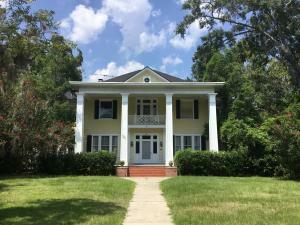 This home is Very convenient, walking distance to almost everything in Downtown Walterboro, minutes from I-95, only an hour from Charleston, an hour from Savannah, an hour and a half from Columbia. Wood Siding home for sale in Walterboro SC, Zip 29488. Amenities include Extra Storage, Trash Pickup Deck, Porch - Front Porch, Porch - Full Front, Storage/Outbuilding, fireplace: Three + ... 1 Car Carport Detached Off-Street Parking... and more. -- This home is filled with history! Two dormer windows are from Hayne Hall, the plantation home of Isaac Hayne. Colonel Hayne (also known as the Martyr of the Revolution) was one of the most prominent Americans to be executed by the British during the American War of Independence. Capped by a tin roof, it is typical of the summer houses of the early Lowcountry planters. The Guest house is currently being rented. The yard is large and features grand oaks, a fire pit, work shop and car shed. 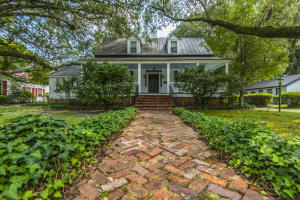 This National registered home would be perfect If you are looking for Southern charm and history with all the modern conveniences! Wood Siding home for sale in Bamberg SC, Zip 29003. Amenities include Cable TV Available, Extra Storage, Trash Pickup Fence - Partial, Patio - Covered, Porch - Full Front, Special Yard Lights, Storage/Outbuilding, Energy Star Appliance fireplace: Three + ... 2 Car Garage Detached Off-Street Parking... and more. -- listed in the National register May 19, 1983 and is part of Bamberg's historic district. This district holds a significant collection of buildings from the period of 1888 â€“ 1930 which presents an accurate depiction of the foremost residential neighborhood of Bamberg for this period. 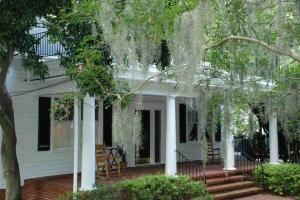 This home can be also be purchased for commercial purposes. One can imagine spending a lazy afternoon on the sweeping front porch with a cool glass of sweet tea, enjoying the soothing lull of the antique fountain. Double front doors beckon one to behold what waits inside. Walking into the foyer soaring 12' ceilings and lustrously restored pine flooring are the first impressions, along with exquisite and twinkling chandeliers. In fact, the home holds 16 unique chandeliers, several with original medallions. Large sitting rooms, or parlors as they were called, are to the left and right of the entrance and are graced with opulent fireplaces. The elegant dining room would make any meal special and is separated by original doors from both the sitting room and the kitchen, this also has a fireplace and classic chandelier. The charming main hall bathroom was designed and built by the current owner and features pretty toile wallpaper, a kitty corner sink and yet another delicate chandelier. Further down the main hall is a room currently being used as an office which leads to what one may consider the piece de resistance of the home, the kitchen. Exposed beams, which were found during renovation, grace the ceilings and add the perfect touch to a kitchen worthy of a chef. Encompassing the bottom third of the house it features a Viking stove and dishwasher, GE refrigerator, granite countertops, single bowl farmhouse style sink, open shelving and plenty of storage space, truly magazine worthy. The bright eat in area adjacent is both striking and inviting allowing views of the backyard lush with grand oaks and palm. Four French doors from the kitchen lead you to the spacious yard. Toward the left end of the property sits a 2-car garage and workshop where one could easily use for tinkering with an antique car or any other pursuit which requires outdoor space and electricity. The original staircase ends in an upstairs foyer area mimicking the downstairs, with doors leading out to the second floor veranda. Unwind in the refined master bedroom with its stately fireplace which is at the front of the house offering pretty views of the oaks shrouding the yard toward Main St. Built in drawers were fashioned by the current owner just outside the room leading to a back hallway with walk in closet and renovated all white master bath, with claw tub and separate tiled shower. 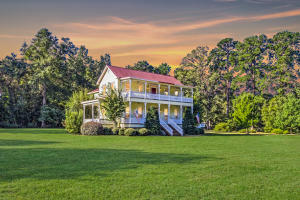 A large, airy sleeping porch is at the rear of the house offering more views of the stunning yard where one can easily picture a family wedding or reunion being held. From the main upstairs hallway the stacked washer and dryer reside discreetly behind a pocket door. Further along are the other spacious bedrooms and a cozy library ready to hold your most prized books and treasures. This majestic home has been been meticulously restored by the owner and features new plumbing, electrical, HVAC and stainless appliances. Furthermore, the HVAC is divided into 4 zones to allow specific parts of the house to be heated and cooled; consequently, the utility bills are consistently low. A new roof and interior paint round out the restoration all of which was completed in 2011. 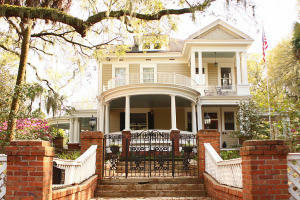 This home is a gorgeous example of Southern charm and it has been lovingly cared for. It is a treasure to behold, words and pictures do not do it justice. Book your showing today. Vinyl Siding home for sale in Summerton SC, Zip 29148. Amenities include Cable TV Available Porch - Full Front, fireplace: Other (Use Remarks) ... Off-Street Parking... and more. -- The living room is spacious and provides plenty of room for additional seating. The classic foyer area will sure impress guest and family offering the classic architecture homes of this era boast. The downstairs master bedroom offers an expansive area with a large master bath that provides and a double vanity, claw tub, and walk in shower. The master also has it's very own private porch so this is the perfect area for relaxing in the evening or when you are drinking your morning coffee. Upstairs you will find two large bedrooms with gorgeous hardwood flooring. The second floor also provides an additional loft space with a spiral staircase! This is the perfect alternative space to be utilized as a game room, man cave, media room, or home office space! 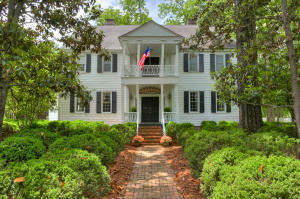 The opportunities this classic southern home has to offer are endless! Conveniently located just minutes from Lake Marion, shopping, and restaurants, and just over an hours drive from Charleston and Columbia! Schedule your exclusive showing today before this once in a lifetime opportunity passes you by! Wood Siding home for sale in Summerville SC, Zip 29483. Porch - Front Porch, Porch - Screened, Storage/Outbuilding, ... ... and more. -- Residential Business, which allows for residential use or a number of professional office uses. Wood Siding home for sale in Walterboro SC, Zip 29488. Amenities include Cable TV Available, Extra Storage Fence - Iron, Fence - Private, Fence - Wooden Enclosed, Gutters, Lawn Irrigation, Energy Star Windows, Tankless Water Heater fireplace: Three + ... 1 Car Garage 1 Car Carport... and more. -- You will be pleased to know that there was a new roof installed in 2003, HVAC, plumbing and electricity have been updated, energy efficient windows installed, Rinnai tankless water heater. The period details include original parquet floors that have been restored, rich, handsome raised panel mahogany walls, solid wood pocket doors and more. Grandiose foyer, Butlers pantry with custom cabinetry, granite countertops, wine cooler. State of the art kitchen with commercial gas range, Sub-Zero refrigerator, overlooking a cozy family room, sunroom and beyond the patio, pool and pool house. An outdoor fireplace beside the pool for cold winter nights. 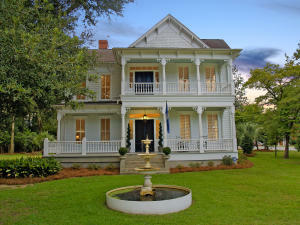 This Southern Mansion has unlimited potential...plenty of room for entertaining. Would make an amazing Bed and Breakfast and is so zoned. 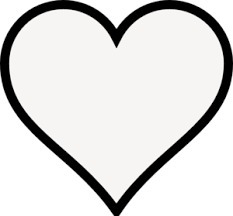 Beautiful event space for weddings and more! Buyer to verify any and all information deemed important but not limited to square footage, taxes, schools, lot size, zoning, etc. Wood Siding home for sale in Edgefield SC, Zip 29824. Amenities include Horses OK Pool - In Ground, Storage/Outbuilding, Workshop, fireplace: Three + ... Off-Street Parking... and more. -- The famous English boxwoods of Cedar Grove were sold during the Great Depression to the Rockefeller family and placed in the gardens of the Governor's Palace in Williamsburg, Virginia. Also on the property are the contributing servant's quarters and original kitchen. Home has a 2 stall barn and pasture for horses! This Historic Proeprty has everything. 3 rd floor is a walk up attick that could be convertied. Home is on the SCDAH registry. This is a unque opprotunity to own a piece of history! 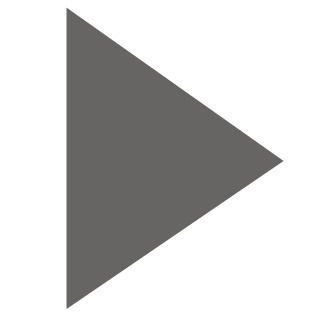 Be sure to check out the Virtual Iguide tour. 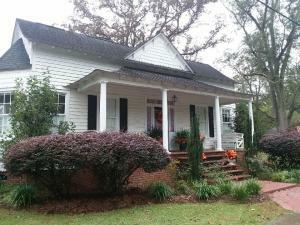 Brick - Solid home for sale in Stateburg SC, Zip 29150. Amenities include Horses OK, Security Guard/Sys, Other (Use Remarks) Dock - Existing, Fence - Wooden Enclosed, Pool - In Ground, Porch - Front Porch, Porch - Full Front, fireplace: Bedroom ... Other (Use Remarks)... and more. -- Traditionally, each owner of this home has shared and passed down stories of its history- From the trap door next to the stairway that is said to have been an escape through a tunnel back to King's Highway, to the powder marks on the front door during the war. What a home full of stories and history! The property is comprised of three separate structures â“ First, a 5130 sq. 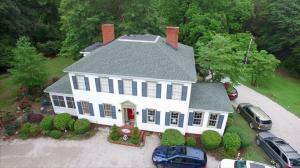 ft, 5 BR/4.5 BA main house. In addition, the main house features a 243 sq. ft. screened porch and a 701 sq. ft. covered front veranda. Second, a 972 sq. 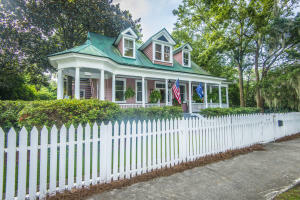 ft , 3 BR/1 BA guest/caretaker house. In addition, the guest house has an adjoining 702 sq. ft. garage and a 766 sq. ft. covered kennel. Third, a 609 sq. ft., 1 BR/1 BA studio/guest house currently utilized by the owner as an office surrounded by nature and complete privacy. The property also comes with adjacent deeded access to an idyllic stocked fishing pond including a pier for observing wildlife or fishing. Use Arrow to Scroll Down to View All Properties. 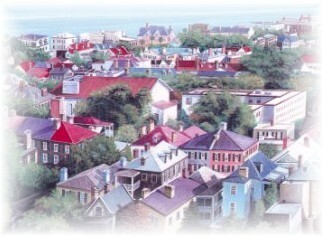 Seabrook Island is a private resort gated community located next to Kiawah Island Resort. Owned by its residents, this community is completely private. The amenities are recently renovated and rebuilt. A breathtaking club house and oceanfront amenity center make for an ideal second home, primary residence or erstwhile vacation home. Make sure your Realtor (R) takes you through the gates for a full tour. You will not gain access without a Realtor (R) in this very private gated resort community. Contact Eve Olasov Realtor® Today to begin learning more.